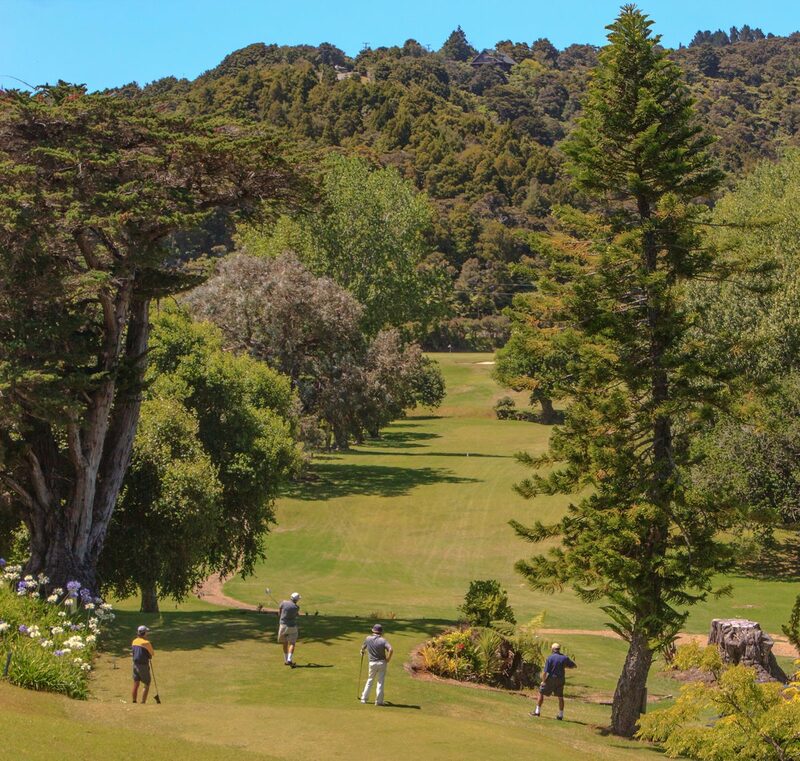 Kauri Cliffs might have a monopoly on the mantle of stunning golf courses in this part of the world, but The Pines will provide all the visual rewards and none of the angst that the former does for golfers on greater than single figure handicaps. Nestled as it is in the lee of Parua Bay, it combines short par 3s with testing par 4s and par 5s, and although it isn't long, there are more than enough lateral hazards and interesting design quirks to keep it interesting. I won't bore you with the details... suffice to say you need to see it for yourself. I can't say enough about this course... A must visit in this part of the world! Just 15 mins drive from Whangarei towards the stunning Whangarei Heads, you’ll find one of the most beautiful, picturesque and friendly courses in the country, nestled directly on the shores of Parua Bay, the magical backdrop of Mount Manaia and Mount Aubrey ever present. The course itself has been designed to be enjoyed. Measuring 5,350 metres you won’t have the Bethpage Black experience but as we realise the majority of the world’s golfers don’t play off scratch, we think that’s fine. There are ‘risk and reward’ shots for the single figure golfers and birdie opportunities for the rest of us. Hazards are generally 70% air (hence our name) and tidal creeks that feed into Parua Bay although we have a water hazard that is 9,400km’s long and ends up on the coast of Chile. Bunkers are sparse as we have enough sand on the multitude of beaches in the area. Greens are generous and true. You will be rewarded for good putting. Emphasis has been put on your approach shot throughout the course. We actively encourage visitors to join us for our haggle days. Enjoy the course, meet new friends and have fun…surely that’s what it’s all about. The Spot-X golfing guide once described The Pines golf club as ‘The most social golf club in Northland’… we like that.